I want to do a little jig! I am always trying to figure out how I can use my supplies on other projects! 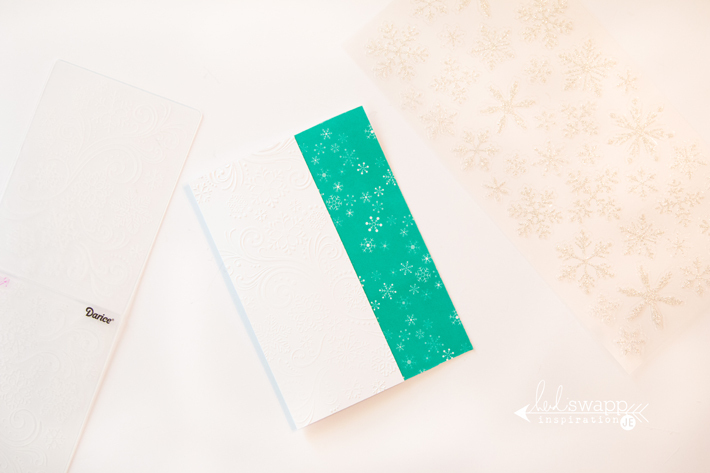 For example, like using this new Heidi Swapp holiday Marquee Love snowflake Washi Tape on a card! It makes me so happy to be able to find a short cut like this! Here is how easy it was to make! 1. I used a pre-made card that I picked up at my local scrapbook store. 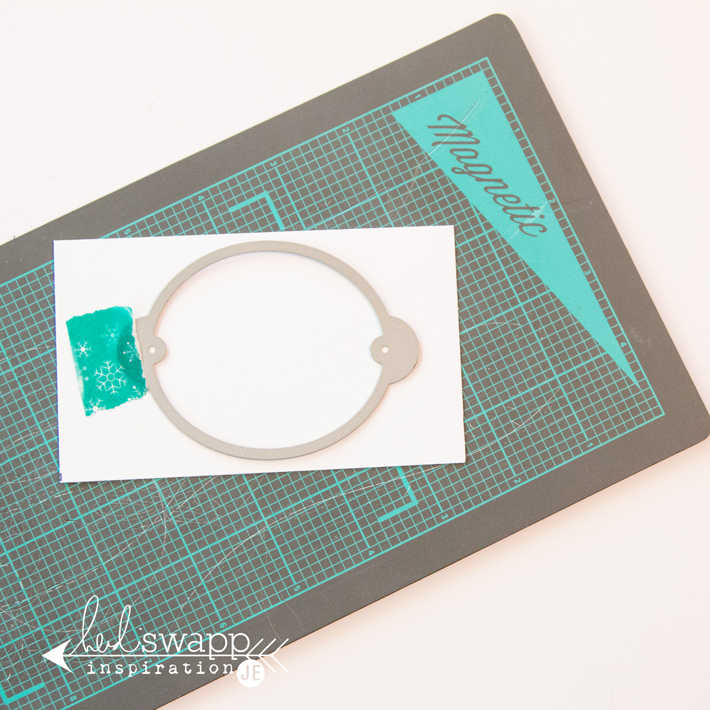 This is my way to save pennies when making lots of Christmas cards! 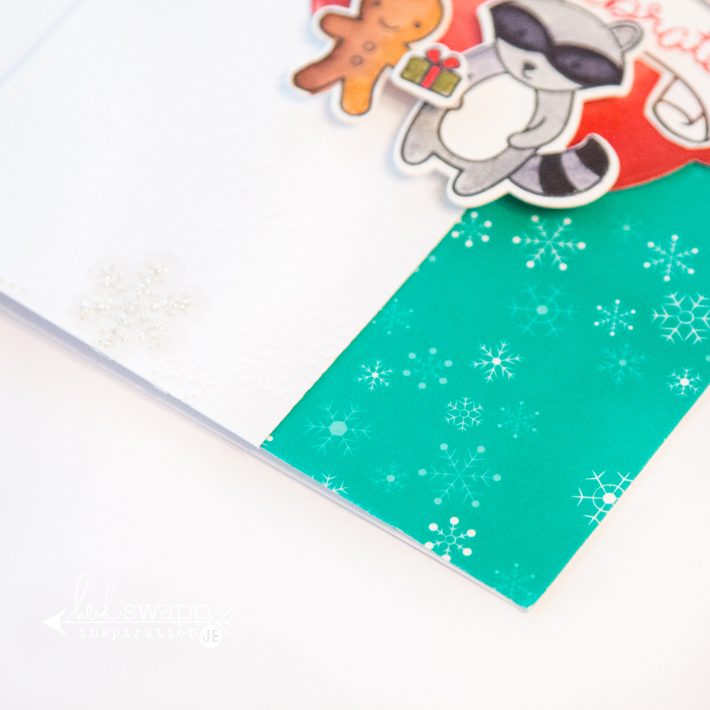 I then placed the 2" washi tape along the right side of the card and trimmed the edges. 2. I embossed snowflakes to a piece of White Classic Bazzill Basics Paper cardstock with a Darice embossing folder. Then, I adhered it to the right side of the front of the card. 3. For a little sparkle with no mess, I added American Crafts glitter snowflake stickers to some of the snowflakes on the embossed paper. 4. For no waste, I used the extra pieces of washi to hold my dies in place on my cardstock before cutting them through my We R Memory Keepers Evolution Advanced. 5. After die cutting all of my colored images (these are from the Let's Celebrate set by Lawn Fawn) I added them to the top of my card! These Heidi Swapp Marquee Love washi tapes can be found at Michaels, independent, and online stores now! Create Well: Take the supplies you have for other projects, like your Marquee Shapes, and use them in your other crafting!